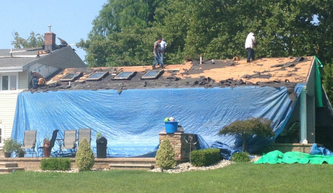 Green Apple Roofing is a full service home exterior company. 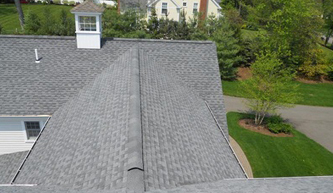 Green Apple Roofing provides repairs and new installations with industry best warranties. Green Apple Roofing offer seasonal maintenance and inspection plans that will save you thousands. 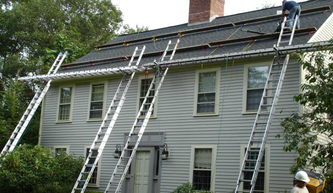 Green Apple Roofing is the source for everything related to the exterior of your home. 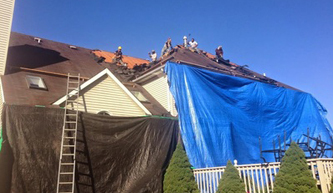 For years, we have been providing central NJ with everything from exterior repairs, roof installations, siding, gutters and more. Call 866-363-6567 now for a free in-home estimate. Our license number is # 13vh0535820 . We invite you to look us up now on the NJ Contractor Website. Green Apple will like to formally thank the Township Of Howell for their outstanding effort in the Hurricane Sandy rebuilding efforts. They worked closely with contractors, homeowners, local goverment representatives and insurance companies to expedite the restoration process. Do you remember the last time the roof of your commercial building was inspected? If a lot of time has passed since its last inspection, its possible that your roof has problems that may need immediate attention. Some of the more obvious problems include leaks, but more subtle problems can be overlooked by untrained eyes. Either way, leaving roof problems unaddressed leads to big costs when repairs become unavoidable. If your building has any of the roofing problems listed below, you should contact professional roofers right away to fix them. Roof panels can buckle because of weather damage or botched installations. 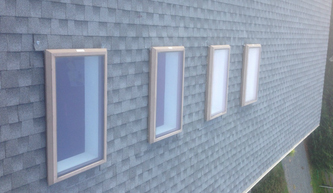 Regardless of the cause, buckled panels lets wind blow underneath other panels, loosening them. As the problem gets worse, the other panels start to fall off and can even come off in large sections if a strong storm hits. 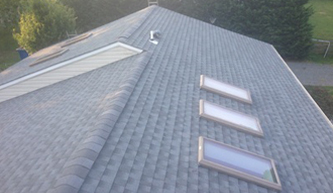 Buckled panels are a common problem that can be fixed by professional roofers. Another common problem that most roofs suffer from over time is widened screw holes. As time passes, wind and shifting temperatures cause screw holes to get wider around the the screws holding the panel in place. The space generated can lead to water leaking underneath the panels and pooling on the roof deck. If it reaches the point where your deck becomes saturated it becomes very expensive to fix. Dry lapping and poorly managed heating procedures cause hot bituminous roof systems to blister. Small blisters can cause little to no problems but bigger blisters can rupture and lead to water seeping under the bitumen. Once the blister is there hot temperatures can make them worse. Blistering is more common in hotter parts of the country. Pooled water is a result of improper sloping when the roof was installed or by blocked drains. Blocked drains are easy to fix but sloping problems are much more complex. The best solution is usually to install a taper insulation system to make a new slope. Pooled water is more common during rainy seasons and is one of the most common kinds of roof repair. Flashing is what prevents water from seeping within the crevice where your roof abuts to protrusions like vents and chimneys. Flashing requires re-sealing over time and if left alone, leaks can form and cause costly damage around the deck and building interior. Flashing issues are usually addressed during scheduled building maintenance. High portions of brick walls and chimneys have sections of missing mortar that can lead to leaks. Leaks like these are commonly mistaken for leaks in the roof membrane but a detailed inspection by professional roofers can identify the real source of the problem. Missing mortar can be repaired with basic tuck pointing procedures. 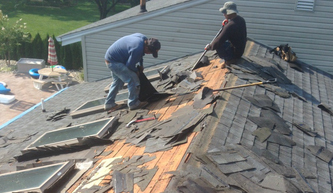 The aforementioned problems are very common reasons to get your roof repaired. If addressed early, these are usually cheap. Leaving these problems alone though can lead to big problems. Make sure to have regular maintenance scheduled for your roof to detect these problems early. 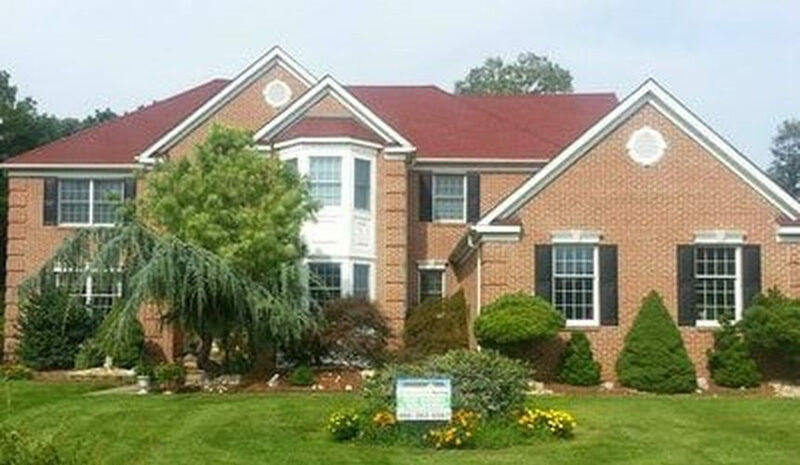 For Howell roofing & exterior contracting in the 07731 area of NJ call Green Apple today.